Abuse Your Illusion are an experienced and energetic 6 piece Dublin based band formed in early 2014. 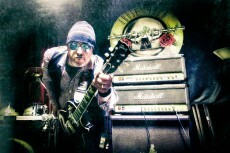 The band play Guns N Roses classics from the iconic Appetite For Destruction, Lies, Use Your Illusion I & Use Your Illusion II albums. Delivering a high volume, high octane Guns N Roses show that is interfused with the iconic ballads and the little extras, recreating the magic that will take you back to the early 90s GNR shows, typically running 2-3 hours . The bands is focussed on attention to detail ensuring that all the classic Guns N Roses tunes are delivered with passion, energy and accuracy with front man Neil Bailey providing the all important Axl Rose swagger and attitude. 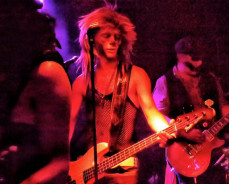 Pounding rhythm is provided by Christian Stynes (Steven Adler) supported by Paul Ryan (Duff) pumping out bass from his 80s fenders and trusty Gallien & Krueger amp that made Duff’s sound famous. 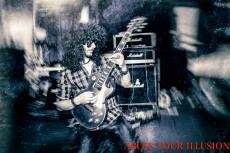 Manning the Marshalls and wielding the iconic Les Pauls are Trev Mooney (Izzy) & Dan Cassoni (Slash). The line up is completed by the magic of Conn Rogers (Dizzy Reid) on keys delivering those classic melodies, harmonies and backing vocals. Click image for more info on these rock classics!